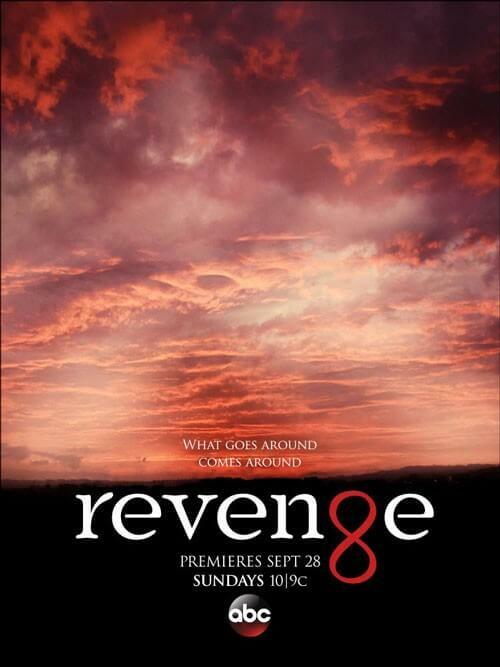 ABC released a poster for season four of Revenge featuring just the sky and the wording “What goes around comes around.” It was mildly interesting, but forgettable. However, that was just the first of a series of three teaser posters for the upcoming fourth season of the dramatic series which is set to debut on September 28, 2014. 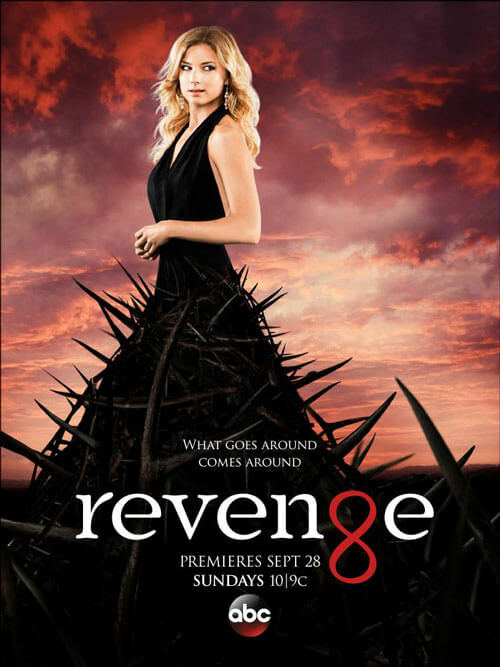 Poster number two featured Emily Thorne (played by Emily VanCamp) looking back over her shoulder as though expecting someone to attack from behind. 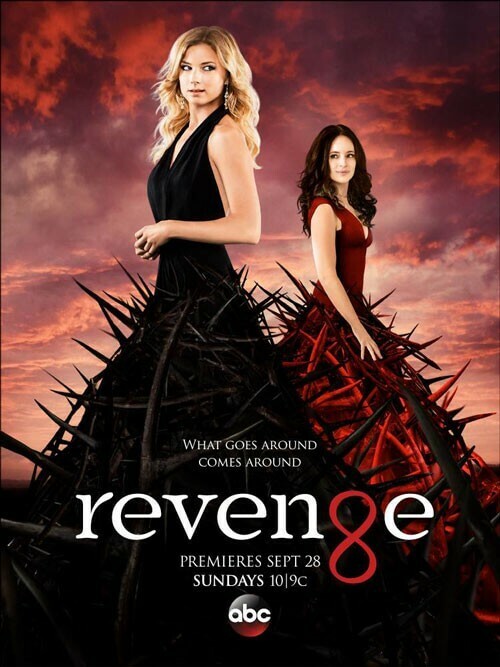 And poster number three shows exactly who it is Emily was watching out for: Victoria Grayson (played by Madeleine Stowe).